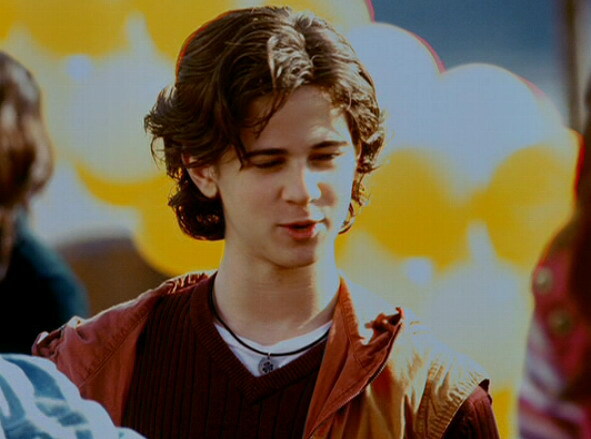 CONNOR PAOLO IN "WORLD TRADE CENTER"
ON THIS PAGE, WE WILL PRESENT INFORMATION, AS IT COMES AVAILABLE, ON CONNOR'S NEW PROJECTS. JANUARY 16, 2006 - WE'VE JUST LEARNED CONNOR HAS BEEN CAST IN AN INDEPENDENT FILM, "SNOW ANGELS," SET TO BEGIN SHOOTING IN FEBRUARY IN NOVA SCOTIA. KATE BECKINSALE, SAM ROCKWELL, AMY SEDARIS AND MICHAEL ANGARANO. CONNOR WILL BE PLAYING WARREN HARDESTY, A SUPPORTING, BUT SIGNIFICANT, ROLE. MARCH 15, 2006 - WE'VE BEEN INFORMED CONNOR IS ABOUT TO BEGIN SHOOTING A NEW EPISODE OF LAW AND ORDER, SVU, IN NYC AND NEW JERSEY. WE DON'T KNOW YET IF THIS IS TO BE A REPRISE OF HIS CHARACTER, "ZACHARY CONNOR." FILMING OF SNOW ANGELS WAS COMPLETED A FEW DAYS AGO. APRIL 4, 2006 - CONNOR'S NEW EPISODE OF LAW AND ORDER, SVU, IS SCHEDULED FOR BROADCAST MAY 9, 2006. IT'S TITLED "WEB" AND HE WILL NOT BE PLAYING ZACHARY CONNOR. MAY 4, 2006 - AS YOU CAN SEE FROM THE BELOW IMAGE, CONNOR'S NEW EPISODE OF LAW AND ORDER, SVU, "WEB," IS VERY DARK. HE'S A BRAVE YOUNG ACTOR FOR APPEARING IN SUCH DARING, CONTROVERSIAL MATERIAL . MAY 10, 2006 - CONNOR GAVE AN OUTSTANDING PERFORMANCE ON LAW AND ORDER, SVU, LAST NIGHT. A GALLERY FOR "WEB" WILL BE ADDED SOON. MAY 12, 2006 - GALLERY FOR "WEB" ADDED. JULY 4, 2006 - CONNOR BEGAN SHOOTING TODAY ON A NEW FILM, "FAVORITE SON." HE CO-STARS WITH PABLO SHREIBER (BROTHER OF LIEV SHREIBER) IN THIS INDIE, DIRECTED BY HOWARD LIBOV. JULY 19, 2006 - BELOW IS A PRODUCTION STILL FROM WORLD TRADE CENTER THAT INCLUDES CONNOR. THERE ARE A NUMBER OF OTHER PHOTOS FROM THE FILM AT THE WTC WEBSITE, HOWEVER, THIS IS THE ONLY ONE SO FAR THAT SHOWS MR. PAOLO. AUGUST 3, 2006 - WE'VE LEARNED THAT SNOW ANGELS WILL BE SUBMITTED TO THE SUNDANCE FILM FESTIVAL. IT'S ESTIMATED THAT THEATRICAL RELEASE WILL BE FOUR TO EIGHT MONTHS AFTER ITS SHOWN THERE. MEANWHILE, SHOOTING CONTINUES ON FAVORITE SON AND IS EXPECTED TO BE COMPLETED AUGUST 11. BELOW IS A STILL OF CONNOR IN SNOW ANGELS. 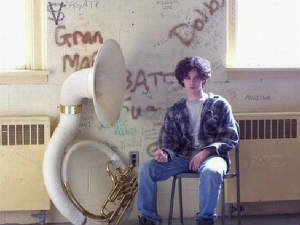 HIS CHARACTER PLAYS A SOUSAPHONE IN A HIGH SCHOOL BAND. AUGUST 6, 2006 - BELOW IS A LINK TO A NEWS ARTICLE ABOUT THE MAKING OF FAVORITE SON. THE MOVIE IS A STUDENT PROJECT ALTHOUGH A NUMBER OF PROFESSIONALS ARE PARTICIPATING. AUGUST 11, 2006 - CONNOR'S PART IS SMALL IN WTC AND HE HAS ONLY A FEW LINES, WELL-DELIVERED, BUT PROVIDING HIM LITTLE OPPORTUNITY TO STAND-OUT. THE MOVIE IS VERY WELL-MADE, GRITTY, AUTHENTIC AND QUITE MOVING. IT'S DEFINITELY WORTH SEEING AND I RECOMMEND IT HIGHLY. NOVEMBER 5, 2006 - CONNOR WITH KRISTIN ALDERSON (RIGHT) AT AN OLTL EVENT IN AUGUST, 2006. THE PICTURE WAS FOUND IN KRISTIN ALDERSON'S OFFICIAL WEBSITE. 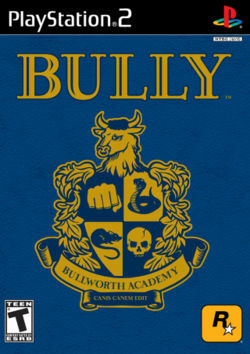 NOVEMBER 6, 2006 - CONNOR VOICES A CHARACTER IN A NEW VIDEO GAME, "BULLY." 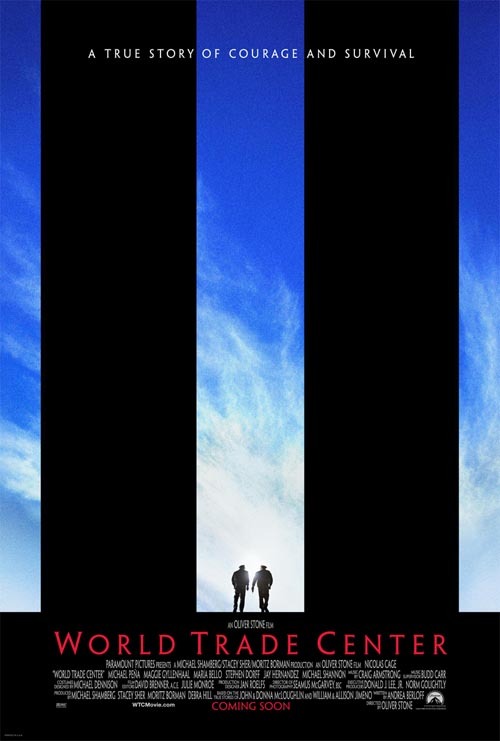 DECEMBER 3, 2006 - THE WORLD TRADE CENTER DVD WILL BE RELEASED DECEMBER 12 OF THIS YEAR. WHEN I RECEIVE MY COPY, A NEW GALLERY WILL BE CREATED FOR THE IMAGE CAPTURES. SNOW ANGELS WILL PREMIERE NEXT MONTH AT THE SUNDANCE FILM FESTIVAL. ADVANCE WORD ON THIS MOVIE IS VERY GOOD. IT WAS ONE OF 16 FILMS SELECTED TO COMPETE IN THE "INDEPENDENT DRAMATIC"
DECEMBER 17, 2006 - A GALLERY FOR WORLD TRADE CENTER HAS BEEN ADDED TO THIS SITE. DECEMBER 22, 2006 - WE HAVE LINKED TO A PAGE CONTAINING INFORMATION ABOUT SNOW ANGELS AT THE SUNDANCE FILM FESTIVAL. THANKS TO "LARRY-411" FOR PROVIDING THIS MATERIAL. 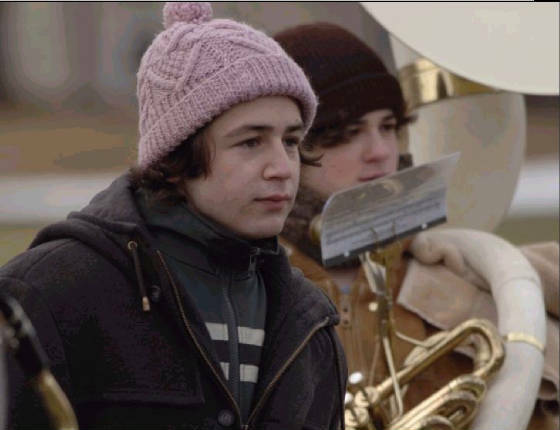 JANUARY 4, 2007 - MICHAEL ANGARANO AND CONNOR IN SNOW ANGELS. THE FILM PREMIERES JANUARY 19th AT SUNDANCE. JANUARY 20, 2007 - SNOW ANGELS PREMIERED YESTERDAY AT SUNDANCE. CONNOR DID NOT ATTEND. HIS ROLE WAS TO PROVIDE COMIC RELIEF IN A VERY SAD FILM AND HE APPARENTLY WAS QUITE EFFECTIVE. FEBRUARY 11, 2007 - WE'VE BEEN INFORMED BY SOMEONE CLOSE TO THE PAOLO FAMILY THAT CONNOR DID NOT ATTEND THE SUNDANCE FILM FESTIVAL BECAUSE HE WAS IN LOS ANGELES AUDITIONING FOR A MOVIE. HE'S BEEN VERY BUSY THIS LAST FALL AND WINTER FLYING BACK AND FORTH BETWEEN NEW YORK AND THE WEST COAST FOR FILM AND NETWORK TELEVISION AUDITIONS. WE HOPE ALL OF THIS ACTIVITY WILL LEAD TO HIS CASTING. 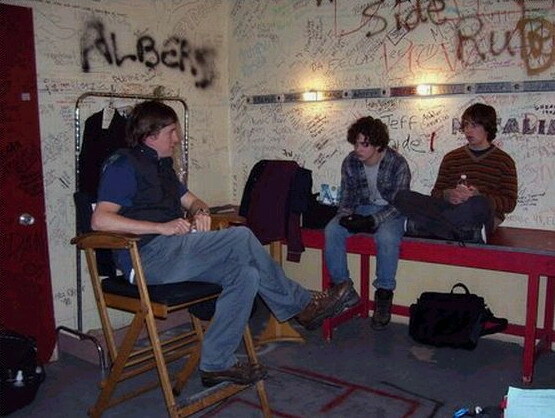 (ABOVE) DIRECTOR DAVID GORDON GREEN, CONNOR AND MICHAEL ANGARANO HAVING A DISCUSSION ON THE SET OF SNOW ANGELS. MARCH 16, 2007 - WARNER BROTHERS HAS PICKED UP SNOW ANGELS FOR DISTRIBUTION AND WILL GIVE IT A "WIDE RELEASE." HOWEVER, THIS WILL NOT OCCUR UNTIL 2008. FAVORITE SON IS NOW LISTED BY IMDb AS "COMPLETED." FILM FESTIVAL SUBMISSIONS ARE PROBABLE. MAY 16, 2007 - CONNOR AS ERIC VAN DER WOODSEN IN THE PILOT EPISODE OF THE NEW TV SERIES, GOSSIP GIRL. REPORTEDLY, THE SHOW HAS A STRONG CHANCE OF MAKING THE SCHEDULE THIS FALL ON THE CW NETWORK. JOSH SCHWARTZ, THE CREATOR OF THE OC, IS BEHIND THE PROJECT. MAY 17, 2007 - IT WAS ANNOUNCED YESTERDAY THAT GOSSIP GIRL WAS PICKED UP BY CW AND WILL APPEAR ON IT'S FALL SCHEDULE. MAY 24, 2007 - WE'VE LEARNED THAT CONNOR HAS BEEN CAST IN A NEW FILM, "CAMP HOPE." IT'S ABOUT A CHRISTIAN CAMP FOR TEENAGERS AND IS DESCRIBED AS A "SUPERNATURAL THRILLER" AND A "MEDITATION ON FAITH." CONNOR HAS ONE OF THE LEAD ROLES, PLAYING A "DOUBTING THOMAS." HIS CO-STARS ARE BRUCE DAVISON AND WILL DENTON (KIDNAPPED). MAKING HIS DIRECTORIAL DEBUT IS GEORGE VAN BUSKIRK WHO WAS A PRODUCER ON ROGER DODGER AND THE SECRET LIFE OF DENTISTS. FILMING WILL BE BETWEEN JUNE 4 AND JULY 6, 2007. SHOOTING FOR GOSSIP GIRL DOES NOT BEGIN UNTIL AFTER JULY 4, SO THERE SHOULD BE NO CONFLICT. JUNE 23, 2007 - CAMP HOPE IS CURRENTLY FILMING IN LITCHFIELD, CONNECTICUT. CONNOR, ACCORDING TO THE INTERNET DATABASE SITE, HAS NUMBER ONE BILLING IN THE MOVIE. SPENCER TREAT CLARK AND SASHA NEULINGER ALSO HAVE SIGNIFICANT ROLES. THE BAD NEWS IS SNOW ANGELS WILL NOT BE RELEASED TO THEATERS UNTIL THE SPRING OF 2008. THE PRODUCERS OF FAVORITE SUN ARE PLANNING TO SUBMIT THAT FILM TO THE TORONTO FILM FESTIVAL.